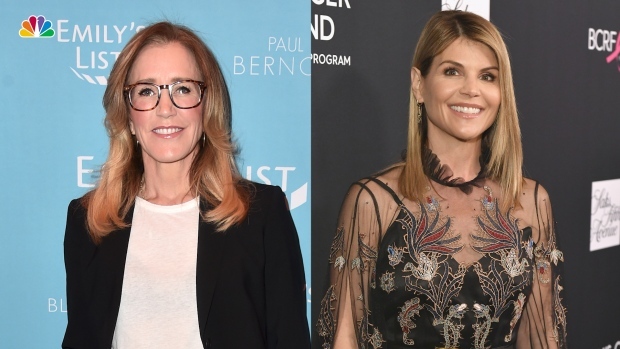 Felicity Huffman is an Emmy-winning actress and has several buzzy upcoming projects, but her career faces a pivotal moment because of her real-life role in the college admissions bribery scandal. Huffman may be sent to prison after agreeing Monday to plead guilty to one count of conspiracy and fraud for paying a consultant $15,000 disguised as a charitable donation to boost her daughter's SAT score. Prosecutors are seeking four to 10 months of confinement, and experts differ on whether the plea, and Huffman's subsequent apology taking full responsibility for her actions , will leave her with an acting career. "I think she did the right thing in the tone of how she came clean, accepted guilt and taken the plea deal," said Laura Ries, co-founder at the advertising firm Ries & Ries. "I think people want to give others a second chance, especially if you ask for forgiveness and show repentance that you're moving forward. Her next role might not come in two weeks or two months, but maybe in a year or two." "I think if money was exchanged, she should do jail time," said Jodi Gomes, director of "One Child Left Behind: The Untold Atlanta Cheating Scandal," an upcoming documentary focusing on a group of educators convicted of boosting test scores to try to advance students. "In doing jail time, that would kill her career." No matter what Huffman's fate is, she won't immediately disappear from viewers' screens. She will play a prosecutor in the Ava DuVernay-directed "When They See Us," a limited series on the Central Park Five case that will be released May 31. But Netflix officials said Monday another film starring Huffman, "Otherhood," will not be released as planned on April 26 and a new date will be determined. The romantic comedy also stars Patricia Arquette and Angela Bassett. Huffman, 56, was among the stars of the popular ABC series "Desperate Housewives," which won her an Emmy Award in 2005. The following year she was nominated for an Oscar for playing a transgender woman in the movie "Transamerica." Her credits include the TV series "Sports Night" and "America Crime," for which she received three Emmy nominations. Also charged in the admissions bribery scheme is "Full House" star Lori Loughlin and her fashion designer husband, Mossimo Giannulli. Both were hit with new charges Tuesday . Huffman is scheduled to enter her guilty plea on May 24. The Hallmark Chanel already cut ties with Loughlin , but Ries believes Huffman won't endure the same fate. "Certainly this isn't going to help her career," Ries said. "But I don't think it's going to end her career. I think it's going to perhaps put a pause on it." While Huffman's career could be put on hold, Gomes said the actress could redeem herself by using her celebrity platform to advocate "underrepresented students." "She should use her platform to advocate for others," she said. "I'm tired of people getting away with bad behavior and then going on an apology tour and hoping that everything's OK. 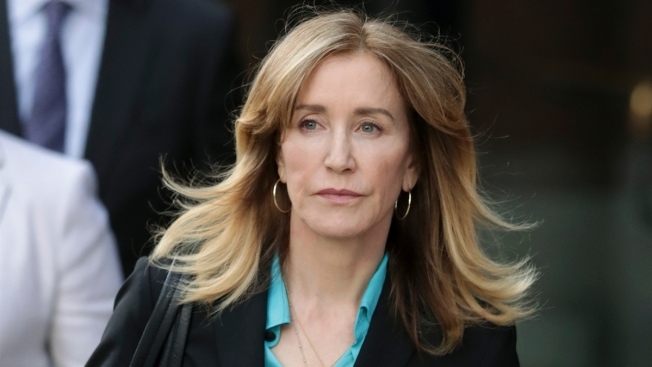 I think Felicity Huffman is getting kid gloves, because of who she is. If she gets kid gloves, at least she can do in redeeming herself is to use her platform to help others." Eden Gillott, president of Gillott Communications, said Huffman's next steps should eventually help fix a "broken and inequitable college admissions system." "I think this needs to be a long commitment, because otherwise she will look opportunistic," she said. "I think that working with an organization that's already in existence to elevate their mission and gain awareness to rid the admissions system of allowing the privilege to pay-to-play is probably her best bet."